Clue: It's over 10 MILLION PESOS. The Kardashians can earn $400,000 or roughly P18.5 million for a single Instagram post. DAMN. Kim, Kourtney, and Khloe Kardashian are frequent users of the social media app, along with their half-sisters Kendall and Kylie Jenner. While they mostly treat fans to insights into their daily lives, they have also been known to draw attention to various products they use. Posts like this contribute dramatically to the family's incredible earnings, the New York Post newspaper's gossip column Page Six reports. "In the old days, you’d buy ads in magazines and TV spots," the publication quotes a marketing mogul as saying. "Now, for $400,000, you get the Kardashians to post on Instagram." The most popular items to have received the Kardashian seal of approval include clothing and makeup. 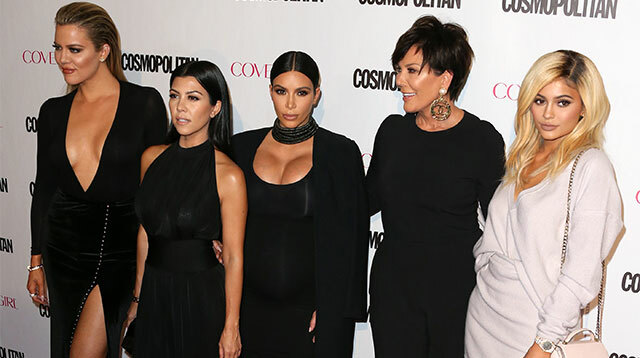 According to the mogul, the family matriarch Kris Jenner has been instrumental in sorting these Instagram sponsorship deals. "The mother is doing bundle-buys," they added. However, Kim, 35, is said to have taken control of her own Instagram deals, with a little help from her rapper husband Kanye West. She can command around $200,000 per post as a solo star. These figures come as a surprise considering that at the Cannes Lions festival last year, Kim insisted she doesn't make any money from her posts on photo sharing websites such as Instagram. "Every deal I do I never include my Instagram," she claimed, according to Britain's Guardian newspaper. "I've been really strict about that. My Instagram is off limits. It is my personal world. I know a lot of my brands get frustrated that I don't promote as much as they would like. I love just posting when something is really authentic. "I can smell a mile away when something is not authentic. I'm really choosy. I don't follow a lot of people and I have unfollowed people who have promoted too much. I just don't like it when people hold up similar products and post everyday about something different." Despite these strong comments, Kim had previously posted approvals of items including a Waist Gang Society corset. The Kardashians were instrumental in forging the popularity of the so-called waist trainers. "#TBT I stay waist training!" Kim wrote alongside one snap. "LOL I found this old pic on my computer! Thanks @premadonna87 @waistgangsociety."